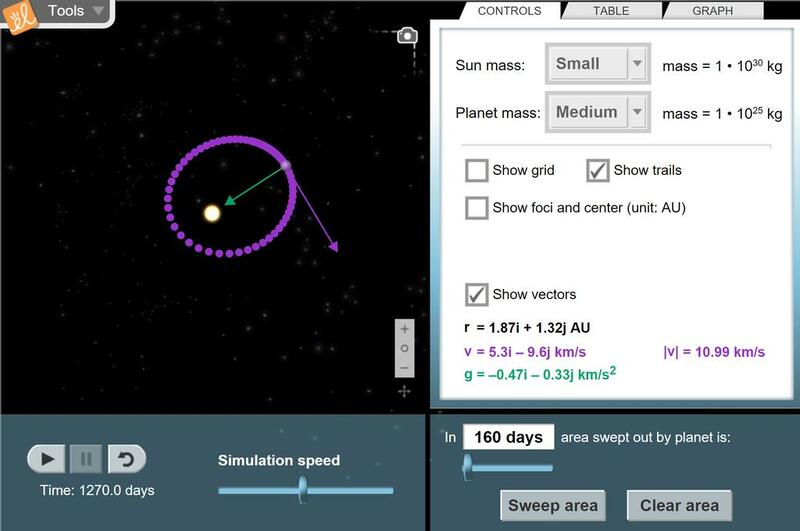 Learn Kepler's three laws of planetary motion by examining the orbit of a planet around a star. The initial position, velocity, and mass of the planet can be varied as well as the mass of the star. The foci and centers of orbits can be displayed and compared to the location of the star. The area swept out by the planet in a given time period can be measured, and data on orbital radii and periods can be plotted in several ways.